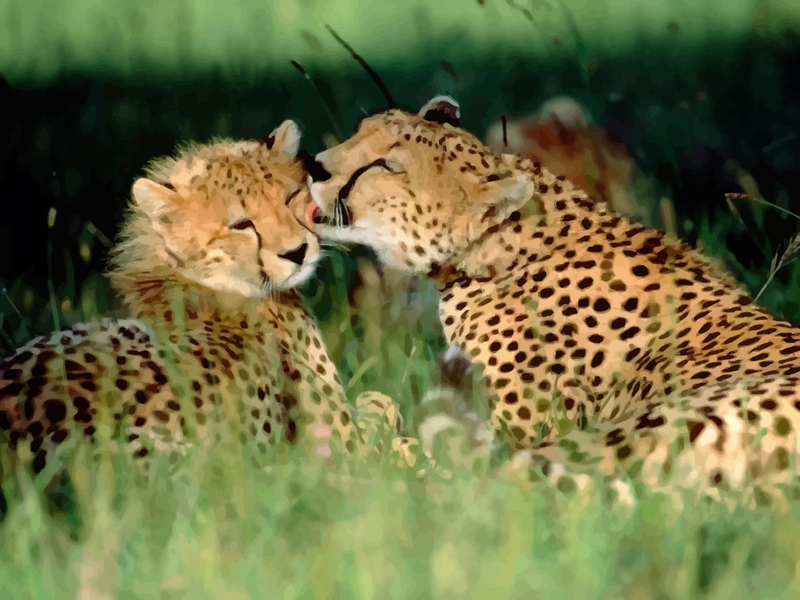 Vector wallpaper of two wild cheetahs playing and licking each other against a grassland background. Cheetahs are know to be fastest and most beautiful animals in the world. The black round spots on their tan fur provide the necessary camouflage when the cheetahs go hunting. Images are copyright of the respective owners.